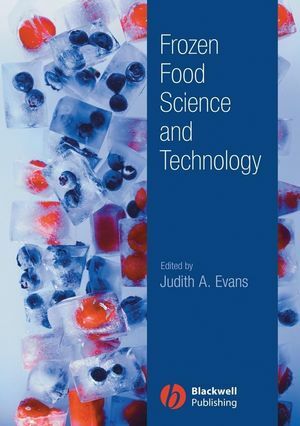 This book provides a comprehensive source of information on freezing and frozen storage of food. Initial chapters describe the freezing process and provide a fundamental understanding of the thermal and physical processes that occur during freezing. Experts in each stage of the frozen cold chain provide, within dedicated chapters, guidelines and advice on how to freeze food and maintain its quality during storage, transport, retail display and in the home. Individual chapters deal with specific aspects of freezing relevant to the main food commodities: meat, fish, fruit and vegetables. Legislation and new freezing processes are also covered. Frozen Food Science and Technology offers in-depth knowledge of current and emerging refrigeration technologies along the entire frozen food chain, enabling readers to optimise the quality of frozen food products. 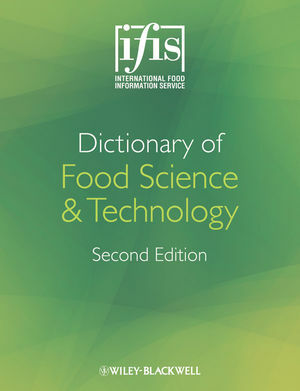 It is aimed at food scientists, technologists and engineers within the frozen food industry; frozen food retailers; and researchers and students of food science and technology. 1. Thermal properties and ice crystal development in frozen foods (Dr Paul Nesvadba, Rubislaw Consulting Ltd, Aberdeen, UK). 2. Effects of freezing on nutritional and microbiological properties of foods (Mark Berry, John Fletcher, Peter McClure, Joy Wilkinson, Unilever PLC, Sharnbrook, Bedfordshire, UK). 3. Modelling of freezing processes (Q. Tuan Pham, School of Chemical Sciences and Engineering, University of New South Wales, Sydney, Australia). 4. Specifying and selecting refrigeration and freezer plant (A. Pearson, Star Refrigeration, Glasgow, UK). 5. Emerging and novel freezing processes (Dr Kostadin Fikiin, Refrigeration Science and Technology, Technical University of Sofia, Bulgaria). 6. Freezing of meat (Professor Steve James, Food Refrigeration and Process Engineering Research Centre (FRPERC), Langford, North Somerset, UK). 7. Freezing of fish (Ola M. Magnussen, Anne K. T. Hemmingsen, Vidar Hardarsson and Tom S. Nordtvedt, SINTEF Energy Research, Trondheim, Norway; Trygve M. Eikevik, Norwegian University of Science and Technology, Trondheim, Norway). 8. Freezing of fruits and vegetables (Cristina Luisa Miranda Silva, Elsa Margarida Gonçalves & Teresa Ribeiro da Silva Brandão, Escola Superior de Biotecnologia, Universidade Católica Portuguesa, Porto, Portugal). 9. Freezing of bakery and dessert products (Professor Alain LeBail, ENITIAA (École Nationale D’Ingénieurs des Techniques des Industries Agricoles et Alimentaires), Nantes, France; Dr H. Douglas Goff, Department of Food Science, University of Guelph, Ontario, Canada). 10. Developing frozen products for the market and the freezing of ready-prepared meals (Dr Ronan Gormley, Ashtown Food Research Centre (Teagasc), Ashtown, Dublin, Ireland). 11. Frozen storage (Dr Noemi E. Zaritzky, CIDCA (Centro de Investigación y Desarrollo en Criotecnología de Alimentos), Facultad de Ciencias Exactas, Universidad Nacional de La Plata, Argentina). 12. 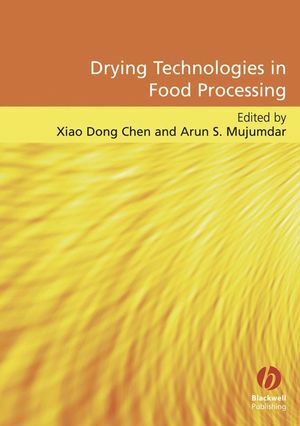 Freeze drying (A.G.F. Stapley, Department of Chemical Engineering, Loughborough University, UK). 13. Frozen food transport (Dr Girolamo Panozzo, Director of Research, Construction Technologies Institute - Italian National Research Council (ITC-CNR), Padova, Italy). 14. Frozen retail display (Professor Giovanni Cortella, Department of Energy Technologies, University of Udine, Italy). 15. Consumer handling of frozen foods (Onrawee Laguerre, Refrigerating Process Research Unit, Cemagref, Antony, France).